It wasn’t pretty but a win is a win. The Boston Celtics kicked off the second round of the NBA Playoffs with a come from behind victory over the Philadelphia 76ers in game 1. 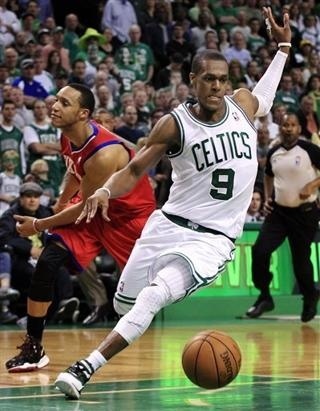 Although it wasn’t his smoothest game Rajon Rondo was still able to record his 8th career triple-double with 13 points, 12 rebounds, and 17 assists. Kevin Garnett had another monster game with 29 points and 11 rebounds. Philly will look the even the series at one a piece Monday night in game 2 from Boston. The Los Angeles Lakers are finally moving on to round 2 after they held off a spirited Denver Nuggets squad in game seven 96-87. The Lakers avoided blowing a 3-1 series lead. Kobe Bryant called out his teammates after a game 6 loss and they responded in game 7. 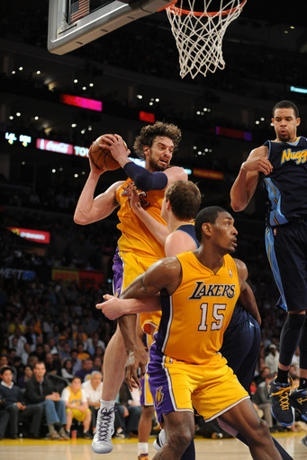 Pau Gasol and Andrew Bynum dominated the paint and the backboards. 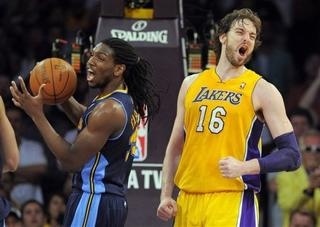 Gasol recorded 23 points, 17 rebounds and, 6 assists while Bynum had 16 points and 18 rebounds. Steve Blake scored 19 huge points off the bench, and Metta World Peace returned from suspension to score 15. The Black Mamba himself, Kobe Bryant finished with 23 points. Ty Lawson and Al Harrington led the Nuggets with 24 points each. The Lakers get the red hot Oklahoma City Thunder in round two. The Thunder have home-court advantage and will host game 1 Monday night.